Reflections on a year of honours for the work we do. 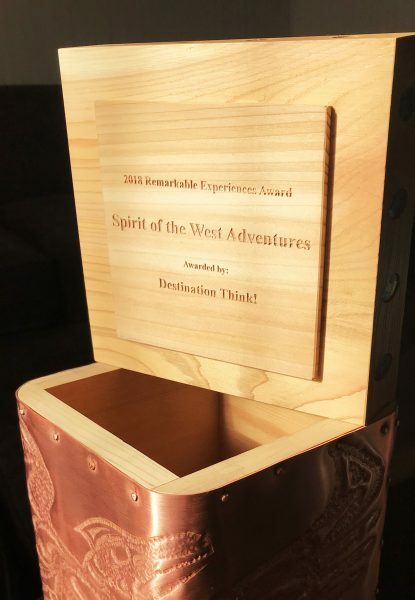 As the end of the year draws near, those of us here at Spirit of the West Adventures have been reflecting on what a great year it has been! Not only were we privileged to have another marvellous season with an amazing crew and incredible guests from around the world, but we also managed to create an impression in the tourism world that allowed us to walk away from our season with a handful of awards. Donning only their finest and fanciest fleece and soft shells, owners Rick and Bre proudly made their way down various red carpets to accept these awards on behalf of our team. Whether or not (and exactly how many times) they tripped on the way down will remain a company secret to the end of time, but let’s just say they got better with each new opportunity for practice! Spring saw, Rick and Bre venture to Kelowna, B.C. where they were thrilled to accept the Remarkable Experiences Award from the Tourism Industry Association of British Columbia. 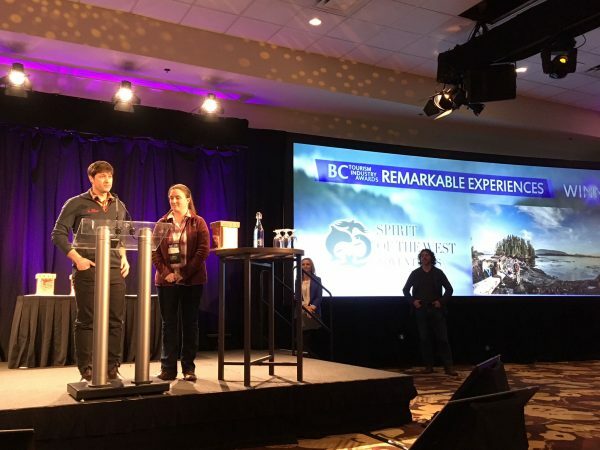 The award was given in recognition of our newest tour, the Whales and Wilderness Glamping experience, which blends the adventure of exploring the remote heart of Orca and Humpback territory (Johnstone Strait) with the comforts of luxury camping. 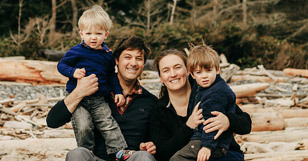 The brainchild of these amazing, dedicated owners, the camp includes cozy full-size beds in walk-in tents, a camp chef who prepares incredible meals, a hot shower and a wood-fired hot-tub to unwind in at the end of a day of paddling. What more could one ask for in a wilderness experience?! Our summer kayaking season was booked-ended with another Remarkable Experiences Award received at the Tourism Vancouver Island Gala Dinner and Awards Ceremony in September, again recognizing the Whales and Wilderness Glamping trip. In addition to these two regional and provincial tourism industry triumphs, the company also received a 2018 Travel Award from Sunset Magazine for “Best Oceanside Safari.” The accompanying magazine article noted that “waking to the sound of whales blowing outside your tent each morning” was so much better than setting an alarm… and we couldn’t agree more! If you’re still not convinced that our concerted team efforts give rise to some amazing wilderness experiences, note that we also received a Corporate Travel Award for 2018 along with the Luxury Travel Guide Award maintained our Trip Advisor Certificate of Excellence for another year, and proudly upheld our Gold Certification from Green Tourism Canada. Our greatest hope is that we can provide quality outdoor adventures that allow our guests to experience and truly appreciate the beauty in our backyard here on Vancouver Island. We share these awards with the incredibly hard working Spirit of the West crew/family and these awards are a testament to their love and dedication to the coast.